Posted on January 21, 2019 at 10:27 am. Wild Casino is giving keen punters a new way to win. The Hot Streak promotion rewards players who maintain a consistent level of activity over the course of a month. If you bet $1,000 a day on your favourite online casino games for at least five consecutive days, you get a prize. The more days you meet the wagering requirement within a month, the bigger your reward will be. – Bonus dollars are subject to a 5X rollover. – Winnings will be credited by the 5th of the following month. – Players must play a minimum of 5 consecutive days within the calendar month to win a prize. – Players can only qualify for and be awarded one prize level each month. Not multiple. – A minimum of $1,000 in total wagers must be played in each day. – Only accounts in good standing are eligible to participate in the promotion. – Management has the right to refuse prizing to accounts who are subject to investigation or violating any rules. – General website Terms & Conditions also apply. 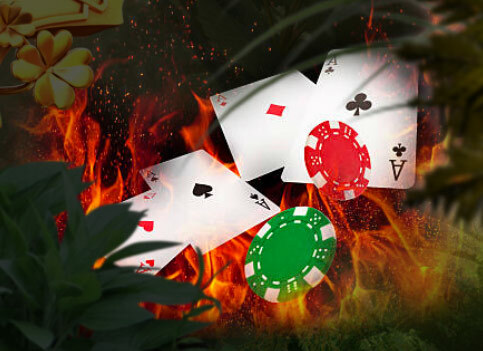 Find out more at WildCasino.com, where new players can pocket up to $5,000 bonus cash upon joining.